Waterproofing is an impervious barrier formation over the surface area of roofs, walls, foundations, and various other building structures to prevent water leakage through surfaces or cracks. There are some commonly-used materials used for waterproofing terraces. They are bituminous, cementitious, and liquid waterproofing membranes, amongst others. Given below is a brief description of some of these methods. Cementitious Waterproofing Method: This method consists of a thin layer of coating, which is that of a primer coat, followed by two top coats. These coats are applied using a trowel, roller, or spray. This method is more flexible than cementitious waterproofing. Liquid Waterproofing Membrane Method: This method consists of a thin layer of coating, which is that of a primer coat, followed by two top coats. These coats are applied using a trowel, roller, or spray. This method is more flexible than cementitious waterproofing. Bituminous Coating Waterproofing Method: This is a type of coating that is applied in accordance with polymerization grade and formulation. It is an excellent waterproofing method for concrete terraces. Bituminous Membrane Waterproofing Method: This method is very popular to use on low-sloped terraces due to its performance. Bituminous waterproofing membrane consists of a self-adhesive and torch-on membrane. Polyurethane Liquid Membrane Waterproofing Method: For flat-roof areas, polyurethane liquid waterproofing method is used. This method, although expensive, offers much higher flexibility. Contact Aquatech Waterproofing now to prevent water seepage into your home from the terrace. Our terrace waterproofing services ensure that you will not have to think about waterproofing for a long time. Our experienced staff will take care of your roof for you. Call us now before the rainy season sets in your roof gets damaged beyond repair. How often should you Waterproof basement? 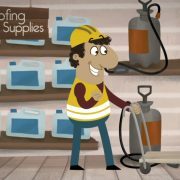 Checking over your basement and your waterproofing system every year is very important. You want to make sure that you’re looking over the system completely and fixing any problems as soon as you spot them. A minor problem can become a major one faster than you think and that’s definitely not something you want to get mixed up with. Yearly adjustments and fixes can save you a lot of trouble and a lot of money as well. They’re definitely worth the effort. Now remember we’re talking about minor repairs that may need to be done every year or so. As far as major repairs on concerned you can rest easy knowing that a proper installation of a waterproofing system will last for several years without necessitating these fixes. In fact you should have a good five to ten years without worrying about replacing the waterproofing system or conducting any type of major without necessitating these fixes. Of course it’s important to always consider the exception to the rule – living in an area that’s extremely rainy, or prone to excess flooding. If this is you, then it’s possibly that your waterproofing system will only last a couple years. That’s because the buildup of water that most homes get in ten years, you may get in only three. Unfortunately there’s nothing you can really do about this except accept it (or move but that’s a little drastic don’t you think). In this case you’ll want to install a waterproofing system that’s going to work the best for you and then you’ll go from there. Consult with an expert who can tell you the best possible waterproofing system, the one that’s going to last the longest. Of course you probably want to do things yourself but if you don’t know what you’re doing you could cause more harm than good. And cost more money than you save. 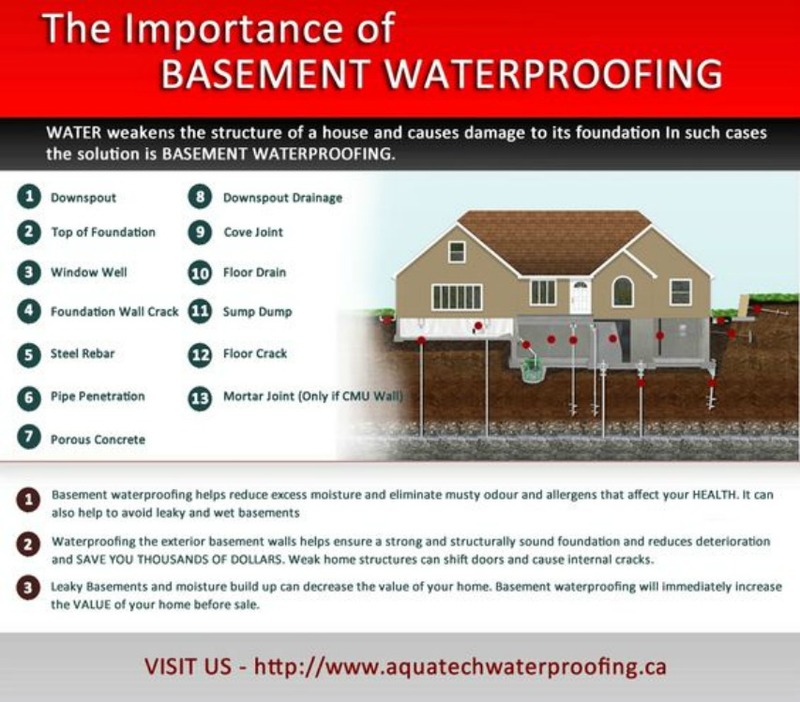 https://www.aquatechwaterproofing.ca/wp-content/uploads/2017/03/AquaTech-Waterproofing-logo167.png 0 0 aquathethird https://www.aquatechwaterproofing.ca/wp-content/uploads/2017/03/AquaTech-Waterproofing-logo167.png aquathethird2017-02-02 20:52:382017-06-15 20:03:59How often should you Waterproof basement?